Bletchley Ladies could be forgiven for having half an eye on their forthcoming play-offs and Women’s Alliance Trophy final as they lost their final league game of the season. Already crowned league champions Bletchley will take on Barnsley Ladies next week in a bid to make it into Championship 1 North next season, but head into it having lost 44-12 to Lichfield II on Sunday. It was certainly a game of two halves, as Bletchley shipped 32 unanswered points in the opening half of the game. The second half was a different story though. Despite conceding another try to be 39-9 down, Caroline Collie finally opened the scoring for Bletchley as they capitalised on Lichfield’s ill-discipline, allowing her to score out wide and reduce the arrears to 39-5. Another score for the home side made it 44-5, but the sides would match each other to make it a decent clash. With just a couple of minutes left to play Bletchley still had some fight left. Emily Gauci chased up the kick taking the catch on the run. As they approached the line, a misjudged pass was knocked on, giving Lichfield the scrum on their 22. 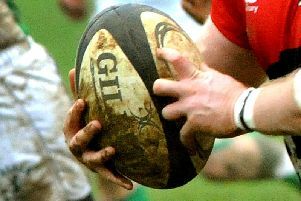 Cons Novas secured the ball for Bletchley and set up a ruck. A couple of passes on, another knock on gave Lichfield a further chance to push away from the danger zone. Another kick was attempted, but Stacey was there again, and this time she took it on the run. Bletchley moved the ball back through the lost ground, finally passing to Taylor to put down over the line for 44-12.